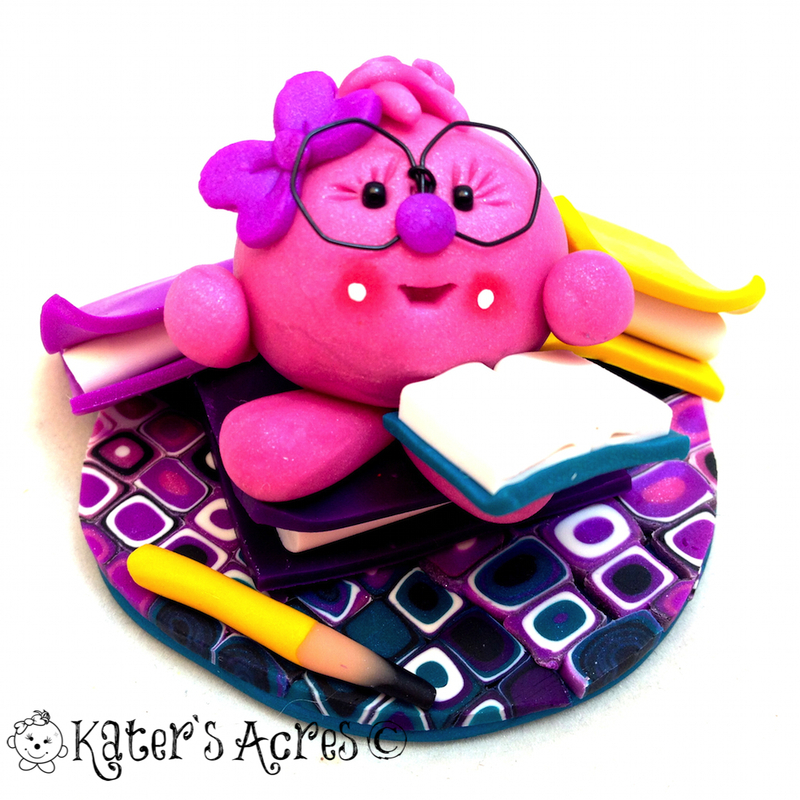 I have been asked by one of my subscribers to share the way that I make polymer clay books. I make a lot of polymer books and there are lots of ways to make them. 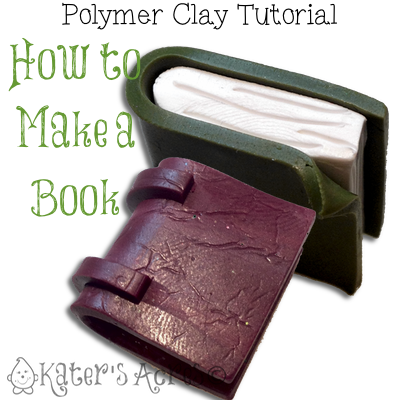 This way is by far the quickest & easiest way to make a polymer clay book. Making a faux book from polymer clay is easier than you might think. Once you know how to make a basic book, you can use different techniques to produce any kind of faux cover book you’d like! In the polymer clay book tutorial, I am going to show you how to make a standard book cover & a faux leather book cover with binding. Condition 1/8 block of white clay. Roll your white clay through your pasta machine on the thickest setting. Double the clay over on itself to create a nice & super thick sheet. Trim into the size you’d like your “book” to be. Set this white block on a sheet of your scrap clay. Trim off all the extra clay. Use a needle tool to give the look of pages. I like to fold the corner of one part of the “cover” to make it look more real. Trim the white clay into the size you’d like your “book” to be. Crumple up a piece of foil. Uncrumple the foil and lay it on your sheet. Use a brayer to press the foil down into your clay to give a faux leather look. Place the clay sheet face down. Set the white block on a sheet of your scrap clay (with the texture side DOWN against your work surface). I added optional “binders” on the edges of my pages, using the extra textured clay to help give the book the look of leather binding. Bake your “books” in a polymer clay dedicated over for 45 minutes at 275 degrees Fahrenheit. When your books cool, you can add a patina to the cover or to the “pages” using this tutorial.